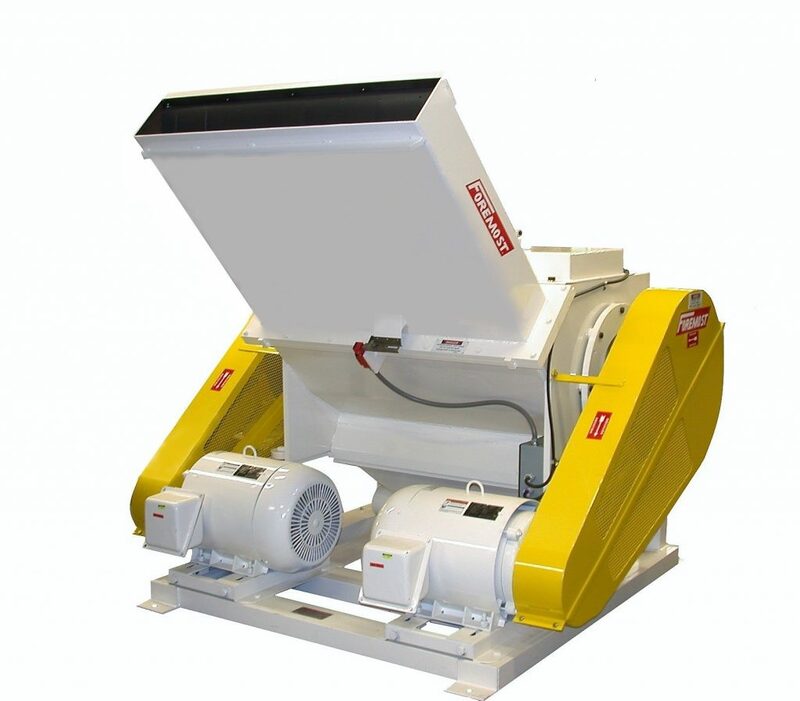 Heavy Duty Granulators SHD-9A – Foremost Machine Builders, Inc. The SHD-9A scrap grinders are specifically designed and built to granulate either large parts or high volumes of scrap material. With its large throat size of 24″ x 48″, offset cutting chamber and rugged construction, large molded parts can be readily granulated without the need for pre-cutting. It is an ideal machine for applications such as post-consumer scrap recycling when equipped with our optional high throughput rotor and screen package. The scrap grinder features a standard three-bladed skewed, staggered, high shear knife rotor with a full series of optional, application specific rotor designs for optimal performance. All rotors are double end driven with dual belt driven flywheels supported by heavy duty, sealed roller bearings. The Model SHD-9A grinder has a proven record of long, reliable service in a variety of applications. Let our 45-plus years of grinder manufacturing help solve your size reduction problems.